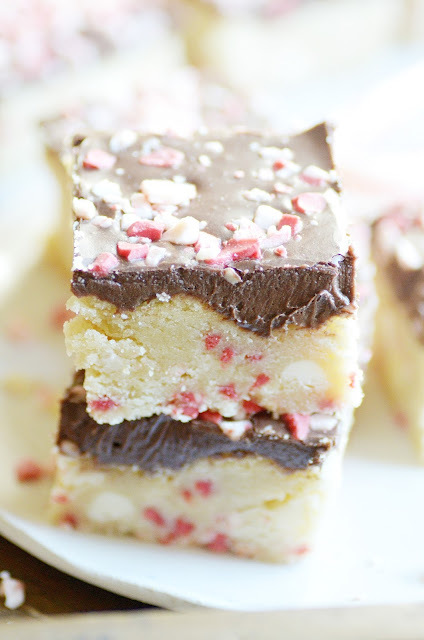 Soft and chewy sugar cookie bars loaded with white chocolate, peppermint bits and topped with fudgy chocolate frosting. Have you ever had Lofthouse Sugar Cookies? Those colorfully frosted and sprinkled, super soft melt-in-your-mouth sugar cookies that have taken over grocery store bakeries all over the planet? I'm obsessed. Also, I have the eating habits of a 5-year old. But that's neither here nor there. 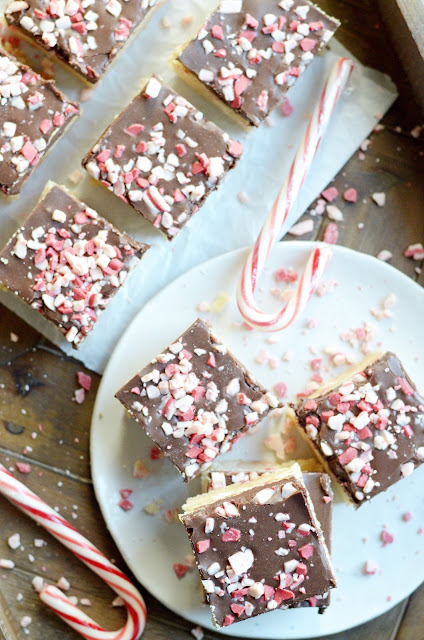 These soft sugar cookie bars are simply my go-to copycat recipe for lofthouse sugar cookies in bar form with Andes peppermint bits mixed right into the dough. YES! And on top of that? 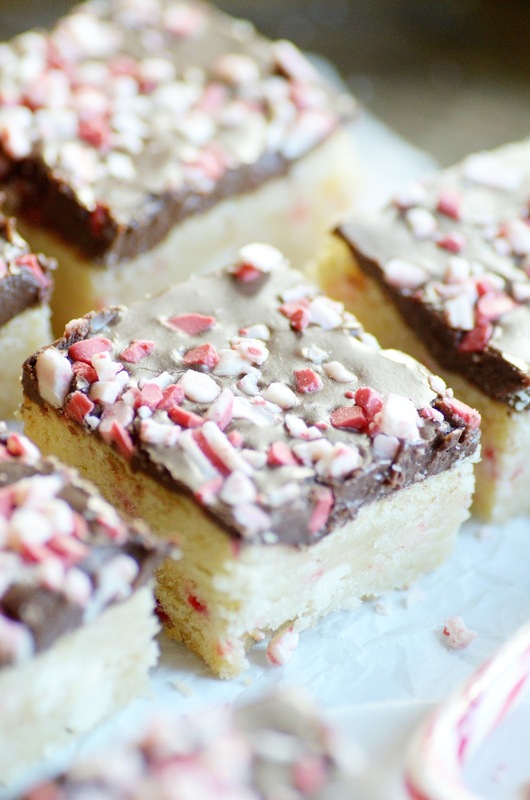 Fudgy chocolate frosting and more peppermint bits. The fabulous thing about cookie bars (besides the perfect-o cookie to frosting ratio) is that they are so very easy to make. No tedious scooping of dough or transferring to wire racks to cool. You don't have to worry about the dough spreading out too much. In fact, you don't have to worry about anything! It's pretty much a one-and-done. Mix the dough, put it all in one dish, and bake! If you want to make things even easier on yourself, use store-bought frosting. Trust me, nobody will mind at all. It pairs beautifully with these cookies! But if you'd rather make your frosting from scratch, check out my favorite fudgy frosting. It's killer. Preheat oven to 350ºF. Prepare a 9x13 jelly roll pan or baking dish by lining it with parchment paper or foil and lightly spraying with cooking spray. Use an electric mixer to beat together the butter and cream cheese until smooth. Mix in the sugar, and be sure to scrape down the sides of the bowl. Mix in the egg and the vanilla. Add the flour, baking powder, and baking soda. Mix until soft dough forms. Mix in 1 cup of the peppermint bits. Spread the dough evenly in the pan or dish. Bake for 20 minutes. Let cool completely before spreading the chocolate frosting and the remaining peppermint bits on top.